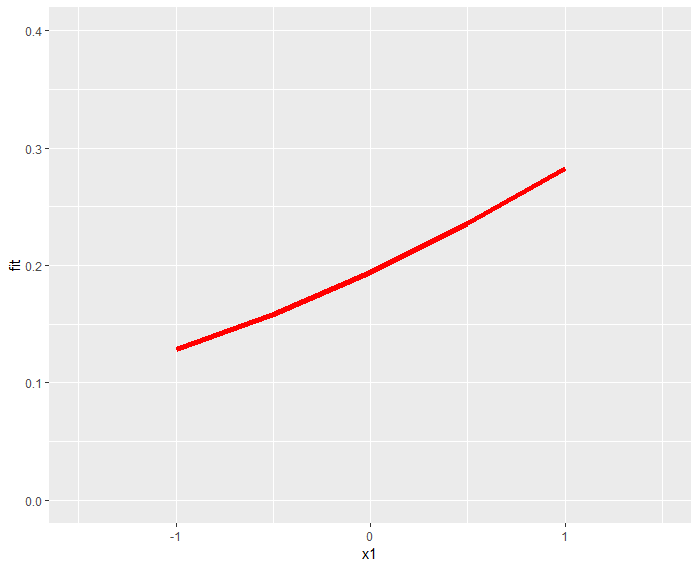 I'm trying to obtain predicted values across a range that spans the original data set using the 'effects' package in R, but the range of values computed is limited and with few data points. I can do this manually outside of the 'effects' package but was trying specifically to do this within it. Using Effect() I computed some predicted values and plotted them with ggplot. The problem is that this doesn't span the full range of values of the original predictor variable. Effect() here goes only from -1 to 1 with 5 values, so with a highly curved fitted line, would not be very smooth. I wondered if the quantile argument was for this, but it didn't work. Does any know if the predicted values of Effect() can be manipulated at all? Browse other questions tagged r logistic-regression predict or ask your own question. 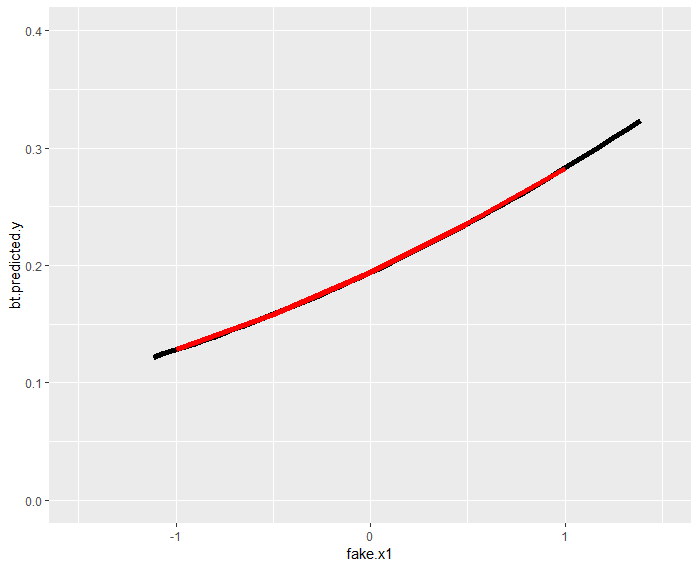 How to calculate predictions with both standard errors and random effects for ggplot?